Even though we know we shouldn’t attribute the characteristics of a minority to the overall group, we do that all the time with homeless people. Communities that are ending homelessness have understood that individualization is the key to success. 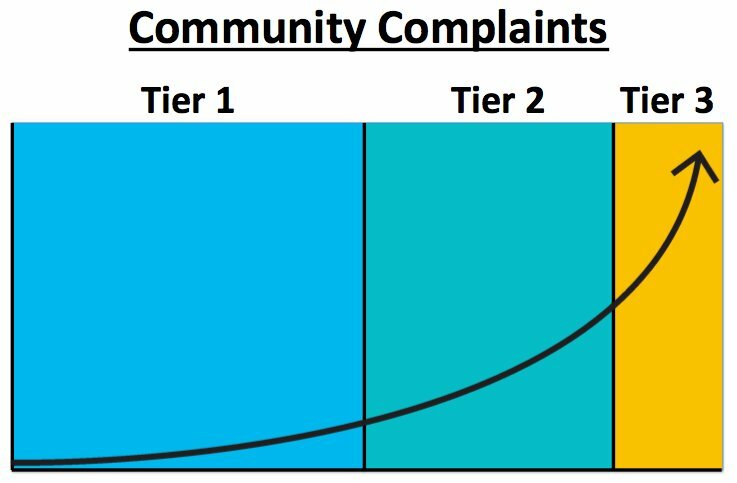 When we do this, new insights emerge, and we begin to see that there is a small group of individuals causing a significantly disproportionate impact in our community. 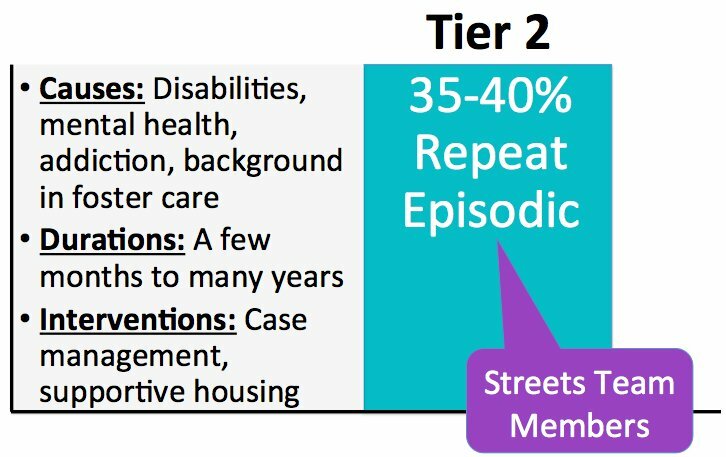 People in “Tier 3” are generally referred to as the “chronically homeless.” And just as visibility is skewed towards the chronically homeless, so are costs. 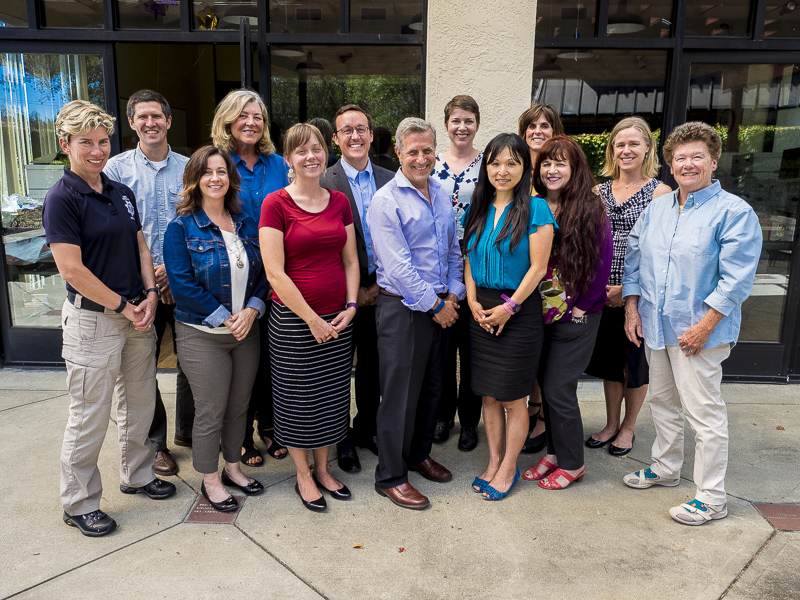 Using data from Santa Clara County, in 2015 the Economic Roundtable conducted the most comprehensive cost study on homelessness in the country. Our neighbors in the South Bay spend a staggering $520 Million a year on homelessness. Perhaps more shocking than the total itself is how the money is actually spent. Social service agencies (think Ritter, St. Vincent’s, Homeward Bound) only account for 13% of that total. 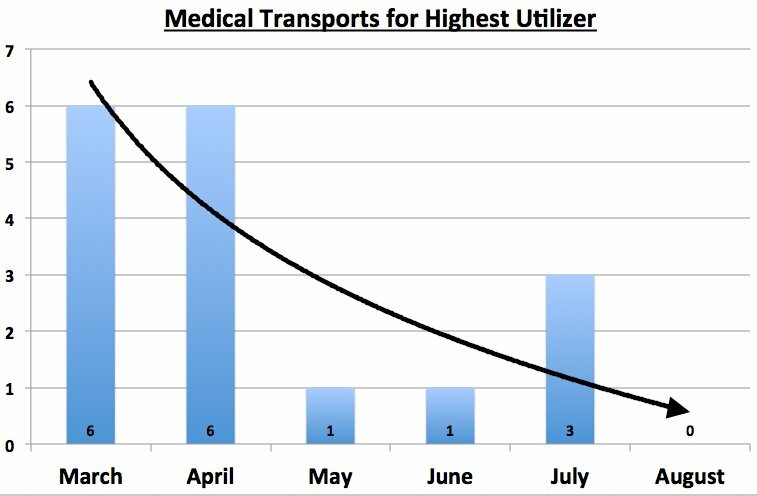 The remaining ~ 90% is divided among healthcare, mental health, and criminal justice (all County systems in Marin). 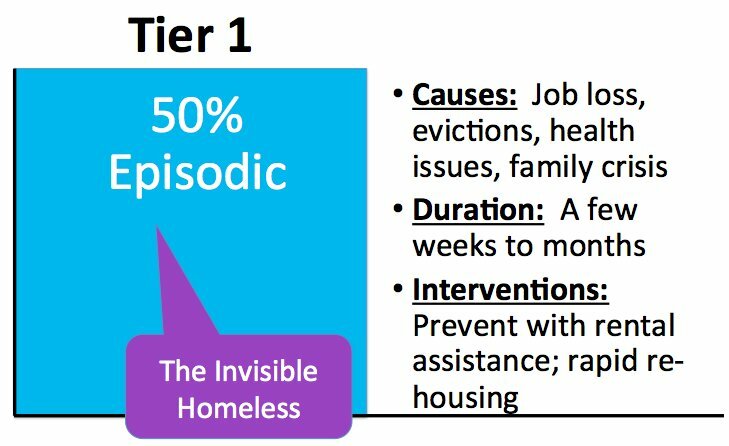 The vast majority of these resources go to revolving door interventions for the chronically homeless. It’s Hard– Ok, that sounds circular, but really, without the right methodology, it’s extremely hard to help these folks. Moreover, nonprofits and the agencies that fund them want results. 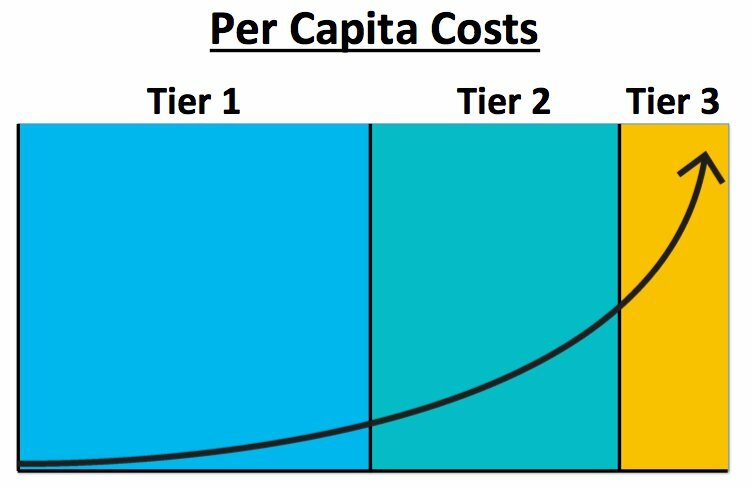 We absolutely have to help people in Tier 1, Tier 2, and Tier 3 at the same time, but if we create programmatic structures and hurdles to assist people in Tier 1 and Tier 2, we have to make sure we’re not simultaneously undermining access for Tier 3. Silos – Unlike individuals in Tier 1 or 2, people in Tier 3 have mutli-dimenenisal issues (the technical term is co-occuring disorders). 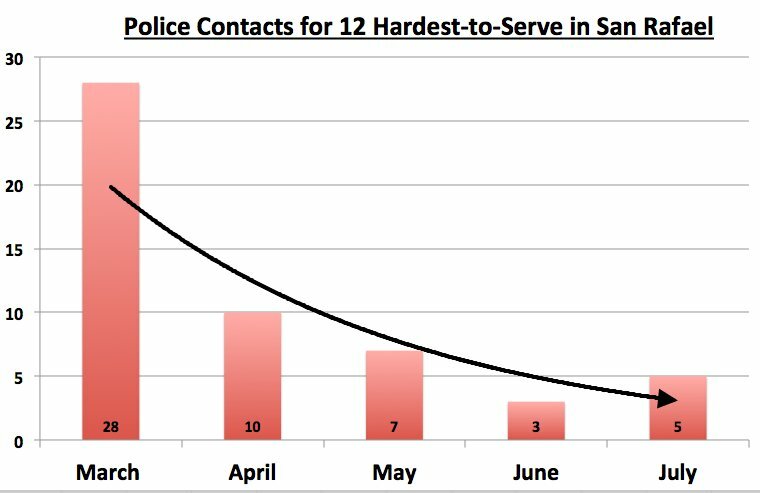 Like other cities and counties across the country, for these hardest-to-serve individuals, our continuum of care has done a bad job coordinating across agencies. 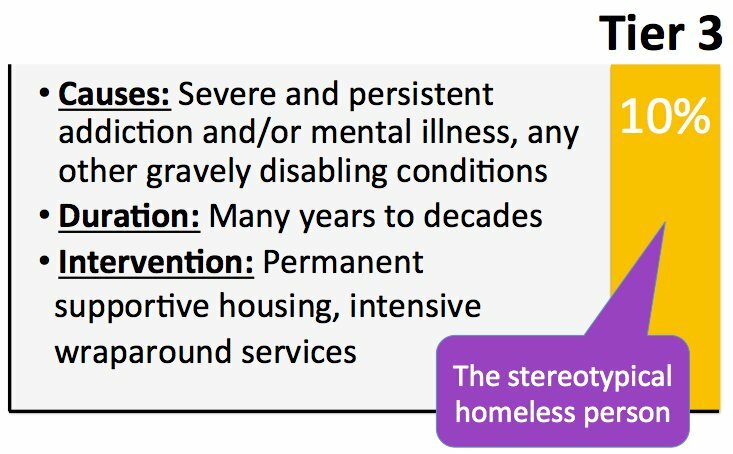 Generalizing – Just like society’s overall tendancy to stereotype the homeless, our continuum of care has historically generalized Tier 3. The reality is that even though they’re a relatively small group, each person is still an individual with unique problems. We have to triage each person. Make sure front-line and senior staff are included, so that in the process of helping individuals, we can also address system gaps that stifle effective service provision. 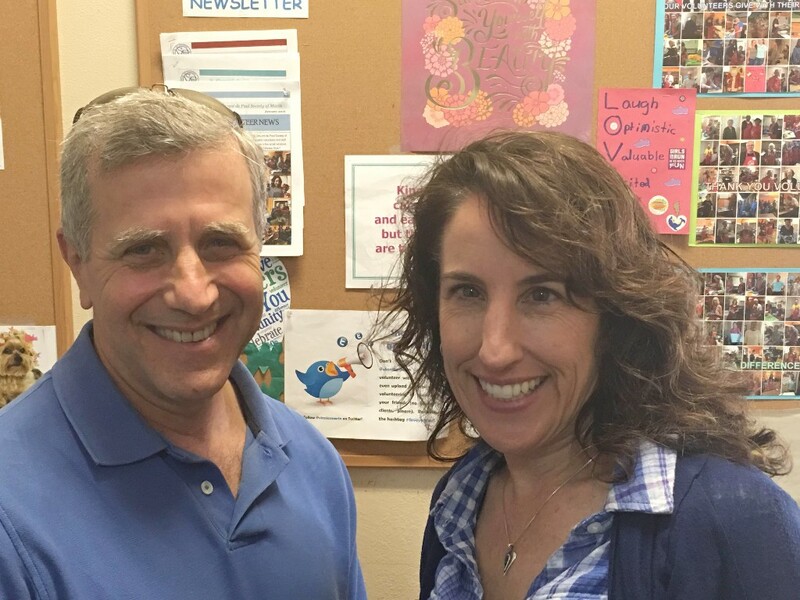 Absolutely vital to this process has been Health and Human Service’s Chief Assistant Director Heather Ravani and Marin Housing Authority’s Deputy Director Kimberly Carroll. Success is measured by permanence, and we need to redesign our service systems to prevent people from returning to the street.